A man who spiked his colleague's cola drink with anti-freeze leaving him disabled has been jailed for 15 months. Garage mechanic and former rugby league referee Martin Bingley is now blind and deaf, Sheffield Crown Court was told. 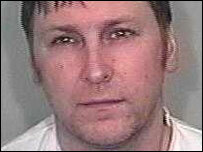 Keith Lamb admitted causing poison to be taken with intent to cause harm. He said he did it to "teach him a lesson" for taking his drink without asking. Lamb, 45, of Moortown, Leeds, told the court he "bitterly regretted" the prank and its consequences. Earlier court hearings were told Lamb put the anti-freeze in a bottle of cola following a row with Mr Bingley at Alwoodley Motors in Leeds, West Yorkshire. The court heard how Lamb, who is married and lives at High Ash Crescent in Moortown, had become "sick and tired" of Mr Bingley drinking his cola without asking and wanted to "teach him a lesson". It was said Lamb added two inches of anti-freeze to a bottle which had an inch of cola left inside it. After swallowing the solution in March last year Mr Bingley, 45, from Garforth in Leeds, became seriously ill, but Lamb kept quiet about his actions. Andrew Haslam, defending, told Mr Justice Andrew Smith that Lamb intended Mr Bingley to swallow some of the highly toxic solution but thought he would immediately spit it out. "He did not intend to cause Mr Bingley any harm at all, still less really serious bodily harm. "This man will have to live with the consequences of his actions that day in March for the rest of his life." Mr Justice Smith told Lamb that Mr Bingley's wife and young daughters face the consequences of this tragedy every day. He said: "Nothing the court can do and nothing you can do can undo the past. "I'm convinced having seen you on several different hearings your remorse is genuine and deep. "With regret, I must sentence you to imprisonment."